Home / News / Brexit: what does it mean for financial markets to be open? 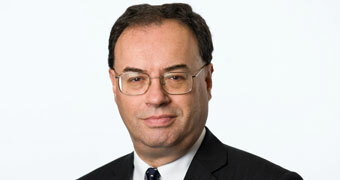 Speech by Andrew Bailey, Chief Executive of the FCA, at City Week ‘The International Financial Services Forum’. Before I do, I will make one point: we – that’s the UK and the European Union (EU27) - will not be able to achieve a successful outcome during both transition and steady-state without working together. Now is the time for the UK and EU authorities to come together and work on the solutions to reduce the risks to financial stability that Brexit could pose. At the FCA we want to work closely with European Securities and Markets Authority (ESMA) and national EU regulators to continue to enhance the stability and effectiveness of global markets. This has global implications, not just for the UK and EU, so it is important that we get this right. To reiterate, regulators and authorities in the UK and the EU share common objectives to preserve financial stability, and we have a common obligation to do everything we can and work together to do that. I welcome the agreement at the European Council on 23 March 2018 that there should be a transition or implementation period. UK withdrawal from the EU without such an agreement would create risks for both the UK and the EU27 of a so called cliff edge - which we should all want to avoid. The UK Government, supported by regulators, has taken a strong and very welcome stand on the need for a transition or implementation period, and I am encouraged by the acceptance of this point on both sides. This matters in financial services because the risks around contract continuity, data sharing, and broader market disruption could jeopardise financial stability, the preservation of which is a shared objective of both sides. If you want to know more about these risks, there is a useful description in the statement of the Bank of England’s Financial Policy Committee following its most recent meeting in March. On day one of Brexit the UK and the EU will have deeply integrated financial markets with aligned regulatory rules. That is a benefit to both sides. Moreover, the benefits of open markets are worth preserving. And we can do it. On this basis, mutual recognition seems to be to be eminently achievable.